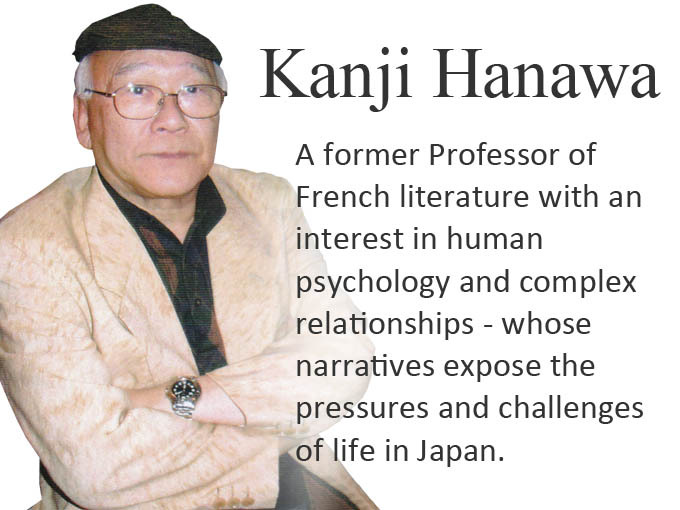 On 17 January the Mainichi Shimbun, one of Japan’s major national newspapers, published a profile of Red Circle Authors and its two founders in its People and Profiles section, HiToMoYo. 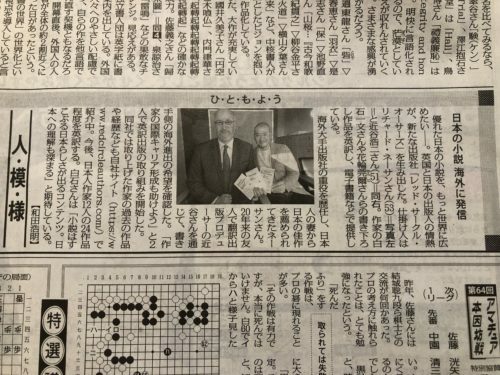 As one of Japan’s ‘big three dailies’ that publish morning and evening editions in Tokyo and Osaka and three other regional centres, the Mainichi Shimbun can trace its origins back to 1872, making it one of Japan’s oldest newspapers. It has a combined daily circulation of 3.22 million. Alongside the Asashi Shimbun, it is considered to be Japan’s most prestigious newspaper, and is owned by The Mainichi Newspapers Co Ltd, which publishes books, magazines, and digital services including English language services – as well as the Japanese language newspaper the Mainichi Shimbun where the feature on Red Circle Authors and its newly launched publishing programme, Red Circle Minis, appears. 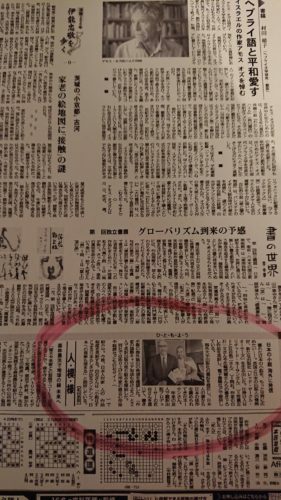 Photograph of culture page of the 17 January 2019 edition of the Mainichi Shimbun including a feature on Red Circle Authors and its founders in the People and Profiles section.